The leading young players from the host country, as well as from the Dominican Republic and Guyana, in addition to Trinidad and Tobago prepared; the destination was Kingston, the capital city of Jamaica, the reason to attend the Caribbean Hopes Week and Challenge. Organised under the auspices of the ITTF Education and Training Programme, a total of 11 players and six coaches were present for an itinerary which commenced on Monday 14th August and concluded on Sunday 20th August. Under the guidance of Venezuela’s Luisana Perez, an intensive itinerary was the order of proceedings. Five days were allocated to training, two three hour sessions per day; each day commencing at 9.00am and concluding at 6.30pm. Additionally, coaches attended workshops and seminars. In common with all other such initiatives, a hard fought Challenge tournament brought the week to a conclusion. Without exception all those present responded to the efforts of Luisana Perez; a high technical level was witnessed, a factor that delighted the visiting Venezuelan. “In my opinion the Hopes Programme is an excellent programme because it helps to improve the level of the players. They train a lot and for many it is their first international experience. As a coach I have learned a new way of evaluating to identify talent. The knowledge gained is very valuable.” Hazare Gopaul, coach Trinidad and Tobago. Furthermore, on the concluding day of action, the will to win was most evident; the Dominican Republic’s Eduardo Darley and Jamaica’s Liana Campbell emerged as the respective winners of the Boys’ Singles and Girls’ Singles events. Both like Eduardo Darley from the Dominican Republic, Ramon Vila and Shary Muñoz finished in corresponding second places. 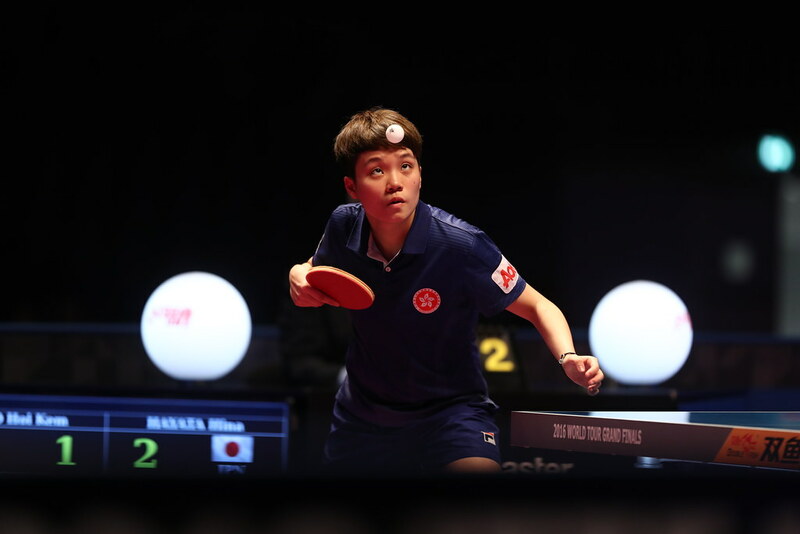 Certainly the response and the standard of play augurs well for the future of table tennis in the region; just as in any other part of the world there is talent. The quest is to unearth and develop that talent. Matters concluded with Godfey Lothian, the President of the Jamaica Table Tennis Association presenting the certificates whilst both thanking and congratulating all concerned. A delighted Godfrey Lothian; the reaction from Luisana Perez was very much the same; she had been well received, there had been a high level of co-operation and all had responded to her efforts. “The Under 11 category is the first step on the road to high performance. It is not easy for children to make a commitment. Everyone wants to win; there are tears. They have much to learn, both technically and emotionally. Our sport is considered as the most complex to play at high level. Even so, these players have shown that they have a great future. They are small giants. At the end always there is a champion, in this camp all were winners. Competition to end the day and immediately competition follows; the Caribbean Under 11 and Under 13 Championships commences on Monday 21st August.